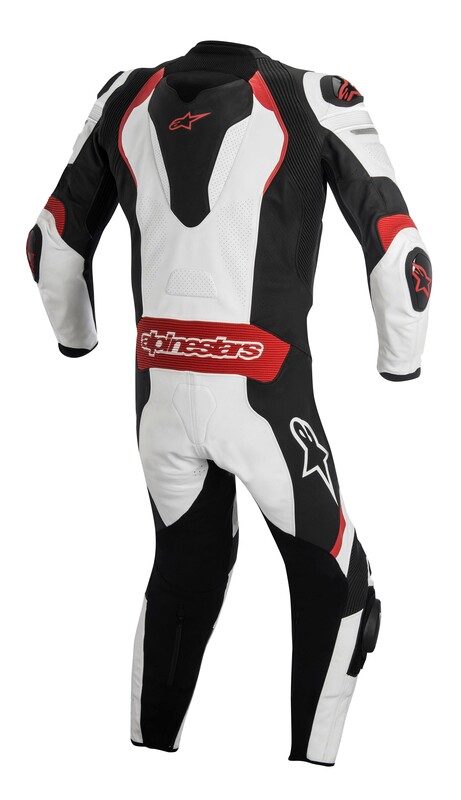 Alpinestars airbag solution involves a vest that you wear underneath a compatible Alpinestars suit, like the Alpinestars GP Pro leathers (shown below) that will be available in 2016 as well. 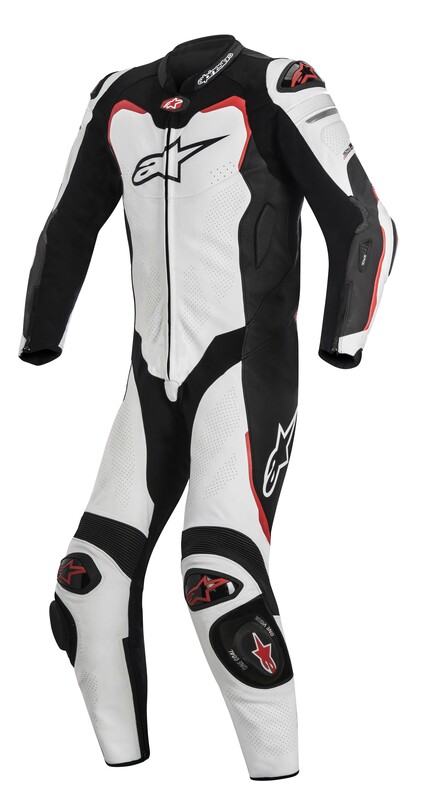 This differs from the Dainese’s D-Air airbag system, which is more built-into the rival brand’s suit. 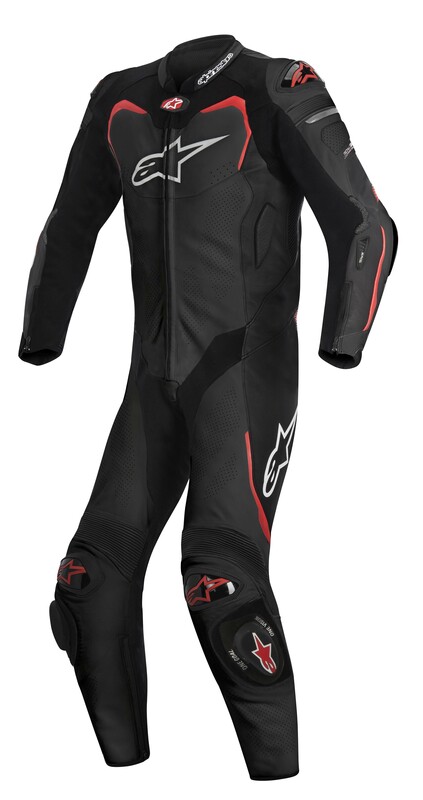 Both Italian companies have been vying to be the first to market with their respective airbag technologies, even getting into a tussle in the legal system over their products and patents, and now both Alpinestars and Dainese will have their airbag equipped suits available for American motorcyclists. 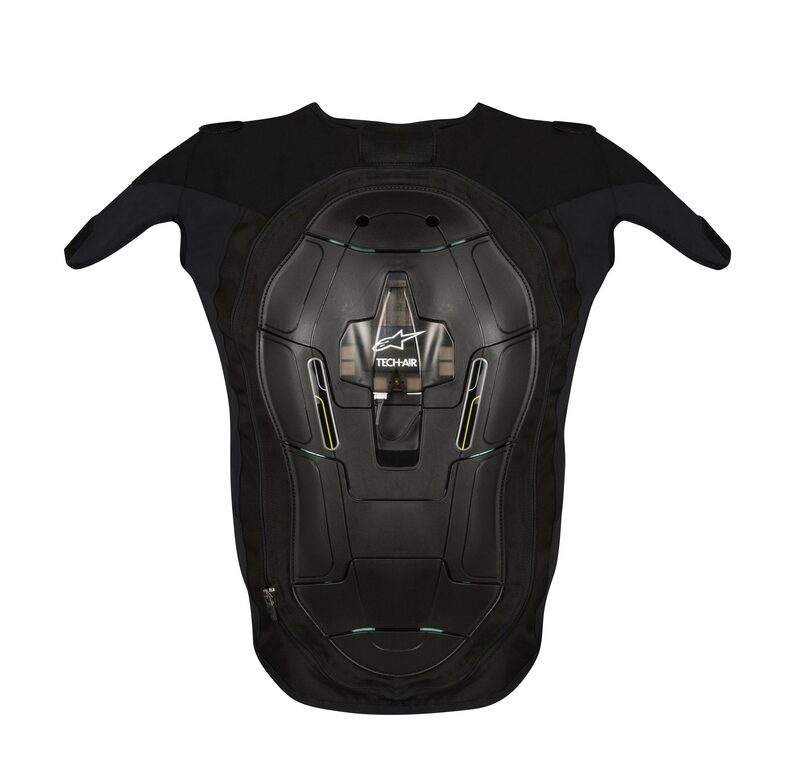 As we have stated before, this marks a sea change in the motorcycle safety apparel space, with airbag technology offering a level of impact protection previously unheard of the in the motorcycle industry. Motorcyclists benefit from both technologies being available as well, since it will mean faster development and cheaper prices. That being said there is no word yet on pricing for the Alpinestars Tech-Air Race in the USA. Though, we would expect it to be priced competitively in the space.